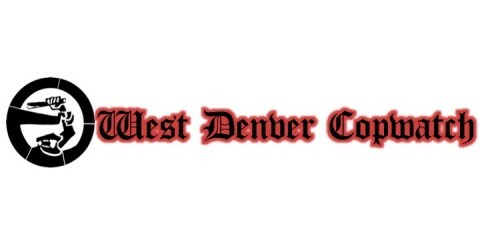 West Denver CopWatch has now been operating on an active level for a little over eight months with our website up and running since mid January. In that span of time we have released roughly 19 videos, established a state of the art police database featuring 75 officers, and have made strides toward our mission of community determination and police accountability. Over the next six months WDCW foresees a continuation of all of our past achievements, as well as several summer projects including a release of an in-depth zine featuring both the raw data of police complaints, violations, and cases of brutality over the last year. In addition to that, WDCW intends to create a separate zine documenting and attempting to venerate every poor soul in the Denver area that has been murdered by the DPD over the last fifteen plus years. We will also be embarking on an intense campaign to expand, strengthen, and extend our work throughout the Denver area working with CopWatchers around the state. In order to take our game to the next level we must extend our hands for donations. Though we are an extremely active group, we are small in number and our pockets are light. We pay for everything ourselves and hope that those of you who are able to support our endeavors by donating to WDCW would be willing to do so at this time in solidarity with not only us, but also our cause. Expenses include cameras, tapes, gas, cards, zines, printing, outreach, community building, networking, workshops, and basic upkeep. For those of you that can assist us with monetary donations we would be greatly obliged. As always we also ask for everyone’s continued support and collaboration.